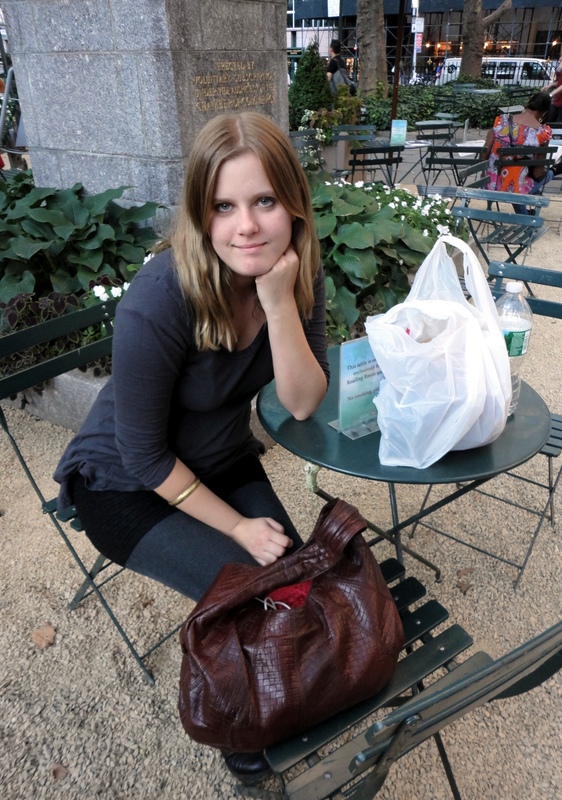 On Sunday, Susanna and I took a day trip to the city. It was a perfect break. The weather was warm. Too warm for October – almost 80. I dropped the boys off in the morning, and we headed to New Haven to catch a late morning train to New York. We got there just in time for a late lunch and a nice afternoon walking around – ending the afternoon at Bryant Park. Of course, it is much better to to read about the trip in Susanna’s blog – “Nutrition for my urban soul” (it might be easier to read using Google translate… at least it is for me). Today I decided to take an easy day. I was planning on picking up some rough cut cherry in western MA, but decided to hang out at home instead (I’ll get it next weekend). It was another perfect day for house projects (Ok, I only took a little break from the projects this weekend). I did some more painting of storm windows, and started working on the next woodworking project. I’m making a pair of shelves for the boys rooms ( the weekend wall shelf found wood whisperer website – but out of birch). 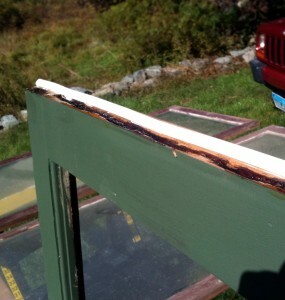 Epoxy repairs to the bottom of the storm sash for the bathroom window. Tonight, Susanna and I headed to Providence to take a swing dancing class. We got there and stood outside with the other students waiting for the instructor to show up for about 30 minutes… then gave up. We decided to have some cheesecake on the statehouse steps in Providence – a nice way to end the evening.